Indications have emerged that the improving health status of President Muhammadu Buhari is unsettling several politicians scheming to contest the presidency in 2019. Buhari, who left the country on May 7 to London, for follow-up medical checks, is said to be recuperating fast from an undisclosed ailment. A senior presidency source, who prefers not to be quoted, confirmed to our correspondent yesterday that recent development regarding how fast the president is getting better and the fact that he may soon return, has thrown some very powerful politicians off balance. Some of the prominent names being mentioned on the All Progressives Congress (APC) card as possible presidential hopeful in 2019 from the North include former Vice President Atiku Abubakar, Senate President Bukola Saraki, former Kano State governor, Senator Rabiu Kwankwaso, Governors Nasir el-Rufai (Kaduna), Aminu Tambuwal (Sokoto) and Kashim Shettima (Borno). The Independent National Electoral Commission (INEC) announced in March this year that the 2019 presidential election will hold on February 16, barely 19 months from now. Buhari, who is constitutionally entitled to two terms of four years each, has spent about 79 days in London attending to his health. According to the presidency source, the reopened visits by governors to the President in London has come as shock to many of the politicians who believed that he will not survive from the current sickness. “Man proposes, God disposes. Very soon, treacherous people will become sycophants. “The confirmation that Mr. President is well has scattered some politicians’ dream. The latest information on the President’s health is really a cog in the wheel of their ambition,” the presidency source said. Another aide of the President, who pleaded anonymity, told New Telegraphthat those scheming for 2019 are surprisingly persons close to the corridors of power in the presidency. “Some have already established offices in their states with campaign structures. I think they will have to go for a plan B,” he said. Acting President Yemi Osinbajo who visited Buhari two weeks ago, confirmed that the President was recuperating very fast and will soon return to the country. 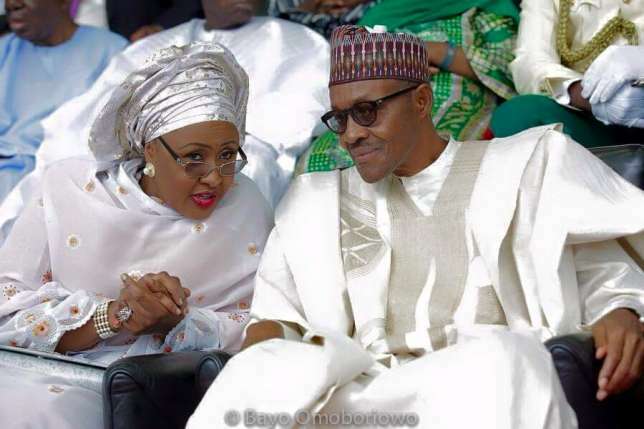 The president’s wife, Mrs. Aisha Buhari, who is currently with him in London, had also thanked God for answering the prayers of Nigerians as her husband was getting better to return soon. Four governors, led by the National Chairman of the APC, Chief John Odigie-Oyegun, visited the President on Sunday where they had lunch with him. They were the governors of Kaduna, Nasarawa, Kogi, Imo and the Minister of Transport, Rotimi Amaechi. On Wednesday, seven other governors, led by the chairman of the Nigerian Governors’ Forum (NGF), Abdulaziz Yari, again met with the President in London.